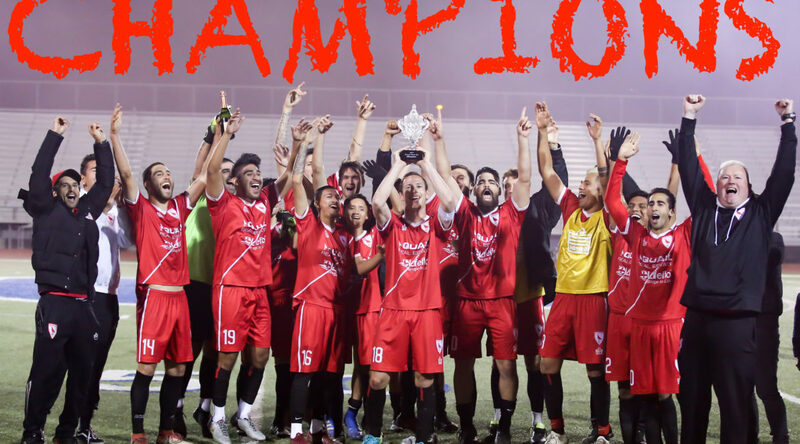 Temecula FC NPSL > News > Club News > 2018 Riverside County Cup Champions! 2018 Riverside County Cup Champions! In a match that City Legends FC will not be able to forget for some time, Temecula FC with a 8-1 victory in front of a loud crowd at Chaparral High. After Steven Lamberta put Temecula ahead in the 11th minute, the floodgates opened, and the Quails squad put 7 more goals into the net before the final whistle. While the intensity slowed down in the second half, it was not any less difficult for City, who could not seem to keep the ball out of their half. For the team that is sitting top of their UPSL table, this is quite a disappointing result for them. Temecula had shown throughout this tournament that they were capable of creating plenty of opportunities, but they were able to finish a lot more than usual thanks to some clinical finishing.